We Kiwis are always looking for a new adventure – Rotorua Family Activities are plentiful. In fact, we’re just scratching the surface by listing these top 10 family options – but it’s a start! Now, what at first glance seems a fairly simple Fun Park in Rotorua, quickly becomes a fantastic range of crazy activities families can do together. And the great advantage is, that you can pretty much cover all the adventures in just one day! Agroventures in Rotorua also provides a one-stop-shop for adults and kids. 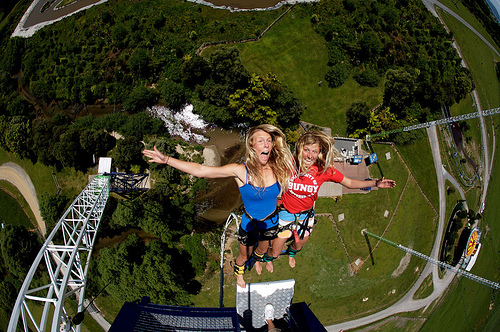 You’ll be literally blown and pushed around at dizzying speeds in boats, bungy jumps and shweeb rides. (Don’t ask me to explain THAT one, just look at the photo). Yep, at 6ft.3in, it can take taller people quite a bit of maneuvering to get into the Schweeb capsule. But once in, from there, you’re pushed away faster than a speeding bullet for 600m. Actually, you can reach a speed of speed of 45mph. Ok, we get that its not exactly a speeding bullet, but it sure feels like it. 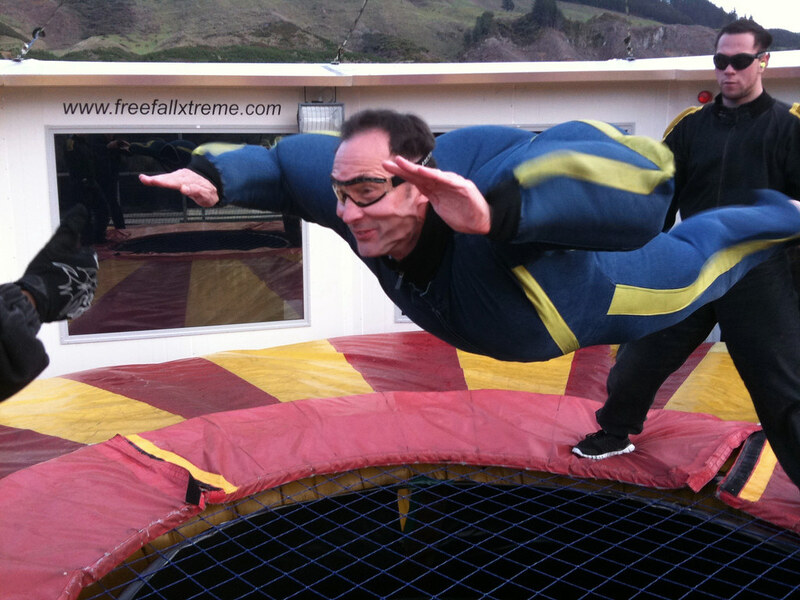 You don’t really get a chance to put your brain into action – the adrenaline rush is over before you know it! Agroventures also has a bungy jump. At base headquarters each person is given a security box in which to place their valuables – such as wallets, phones & watches. Believe me, you won’t really need a watch, because like everything else here, time flies. You’ll be asked to sign the usual waiver relieving Agro Adventures of liabilities such as heart failure from too much excitement. You’re given a helmet and overalls, then start choosing all the adrenaline activities you can stand. In this next photo, Michael seems to have been taken over by aliens. His face is usually relatively smooth and wrinkle-free This is FREEFALL EXTREME folks – flying unattached on a giant wind column with wind speeds of up to 220kmph! Look at this big kid! 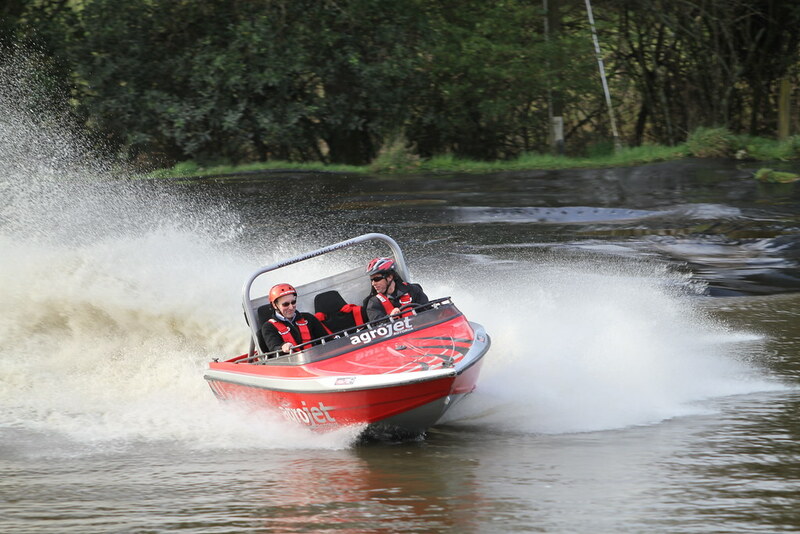 You may not have time for a full afternoon jet-boat ride, but this short one at Agroventure is a short one – with a difference. The pace and thrills are relentless. There is absolutely no let-up from the 360 degree turns and spins. In fact, it might pay to do a quick toilet stop just before you do this hair-raising ride. Rotorua is such a great place for families – there is so much to do and see. So, rather than moving too much around between locations, we recommend that you base your family in the area. 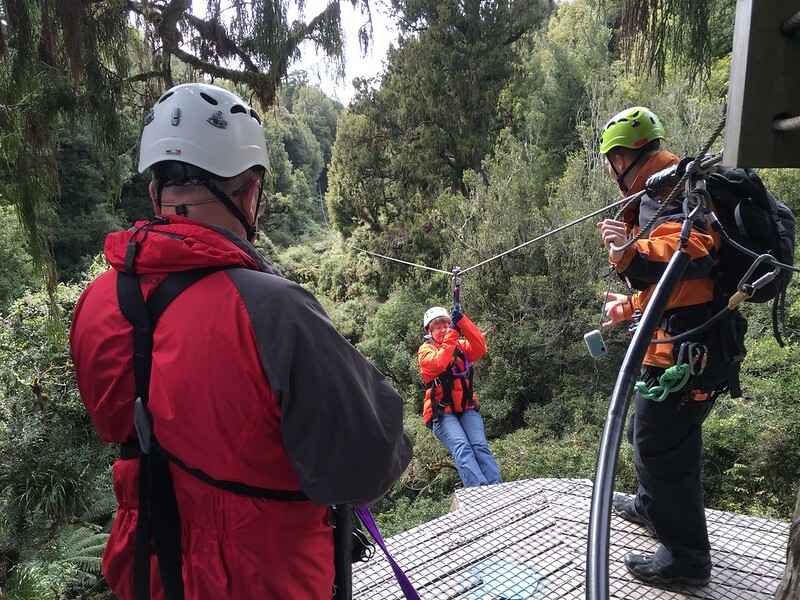 Apart from the famous thermal highlights, we think the Rotorua Canopy Tours should be one of the ‘classics’ for every traveller. Because on this tour, you’ll get a combination of adventure, the outdoors and education! 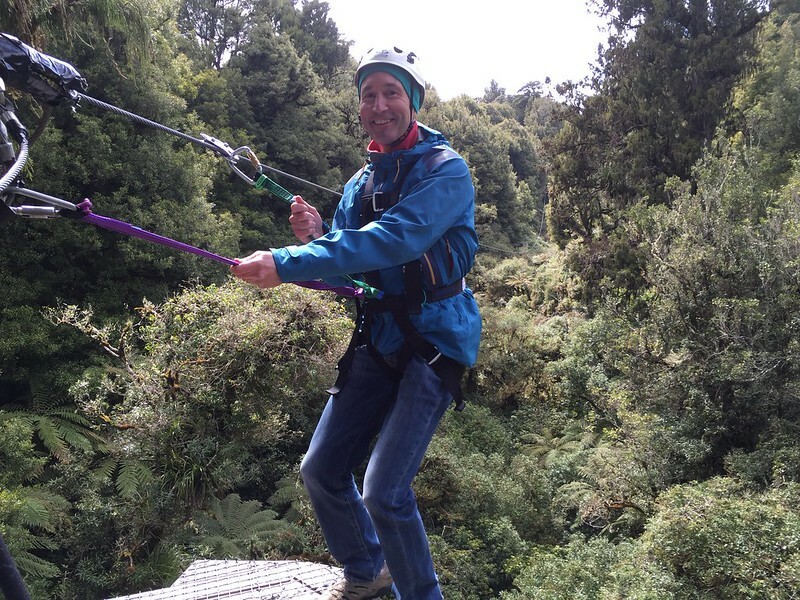 With the use of safety harnesses you and your family will soar like eagles over giant New Zealand native trees. You really can’t leave New Zealand without seeing a real Kiwi Bird. At first glance, you might wonder what all the fuss is about. Firstly, there are a number of Kiwi species of different sizes. But what they all have in common, that they are nocturnal birds. 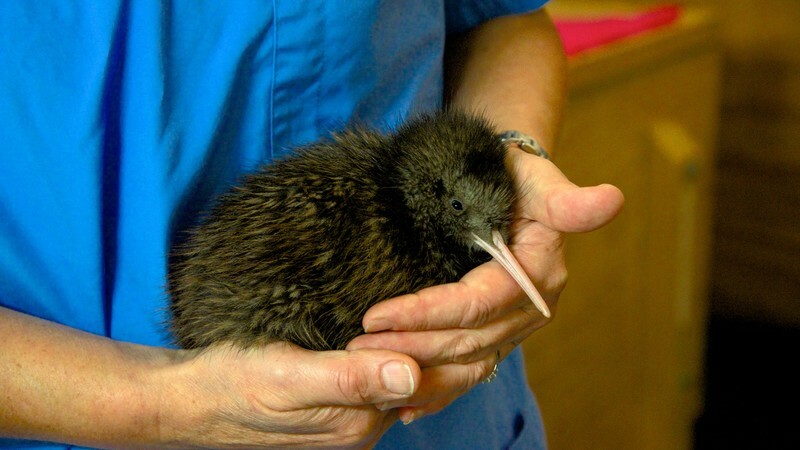 So if you visit a special Kiwi wildlife centre, you are guaranteed a viewing. They can be seen in special darkened enclosures and quite close-up. The Rainbow Springs Nature Park has a great Kiwi House. You’ll get the opportunity to relax while other people entertain your kids. The guides really get the children involved to make it a fun time. And who knows, there might even be some newly hatched chicks around. The Redwoods Treewalk is a over half a kilometre long walkway. In fact, there are a staggering number of 21 suspension bridges bridging the gaps between majestic 110 year old Redwood trees. The views of the native canopy will blow your mind. A lot parents feel it’s important to introduce their children to another culture. This can be done in a very meaningful way with the Mitai Concert & Hangi. While it is hugely entertaining, there is a certain amount of cultural etiquette involved – which is very interesting. And you’ll definitely fall in love with the music of the Maori people. In fact, you might even be asked to join in. River Rafting is definitely suited to older children, say over 12 years of age. These guys really put a lot of fun into rafting. In New Zealand, this is a very specialised activity – so the guides are chose for their experience and seniority. In fact, the Kaituna River this is the location for one of New Zealand’s most spectacular white water rafting. Anything that involves a helicopter ride tends to hold a special fascination with children. Volcanic Air Safaris operate from Rotorua and they have many options for families to enjoy. 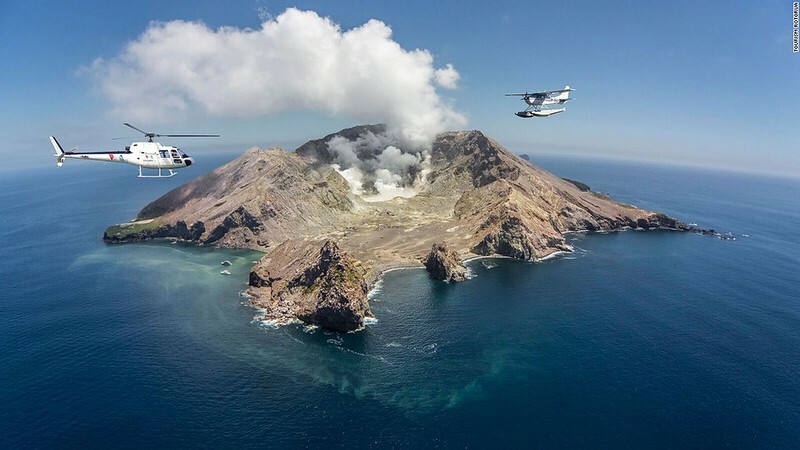 One of these tours involves flying over New Zealand’s only active volcano – White Island. Of course, you can choose to to land on White Island and do a walking tour – but that particular option will not suit small children. Now this is a walk where you can self-guide at your leisure. If you’re looking for spectacular thermal activity and volcanic craters, you’ll really enjoy this. For many parents and their kids, this may be the only time they’ll ever see world’s youngest geothermal system. And believe me, its a pretty awesome sight! Pretty much every family falls in love with the movie-set world of the Lord of the Ring and Hobbiton films. 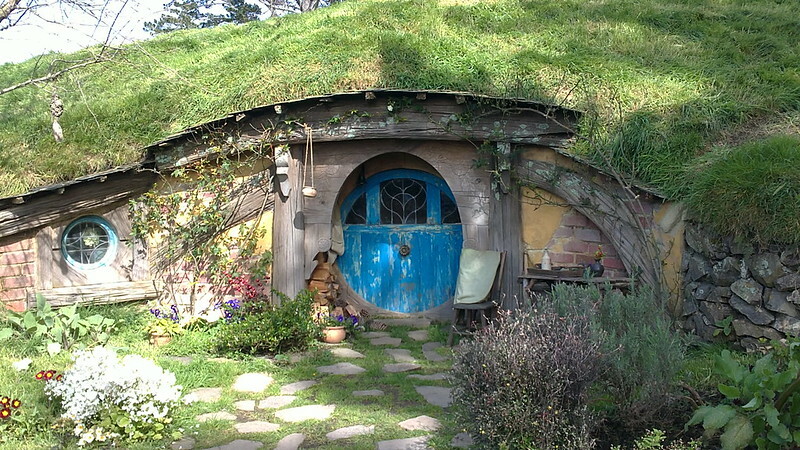 These locations are actually the last remaining structures created by Sir Peter Jackson. Since the first movie ‘The Fellowship of the Ring’ was released in 2001 it has been a huge tourism boost for New Zealand. In fact there are at least 23 filming sites throughout New Zealand But Hobbiton is by far, the most famous. One of our favourites is the more personalised ‘Hairy Feed Tours‘ near Waitomo. That tour is on a much smaller scale with one small group at a time. But for most LOTR fans, Hobbiton Village near Matamata is a ‘must see’. The ‘Evening Banquet’ held here will cater for children over 9 years. Now this is definitely a very different way to see the sights of Rotorua. We’re pretty confident in saying that your kids will love it! On this tour, you’ll get to ride in an Amphibious WW2 landing craft. 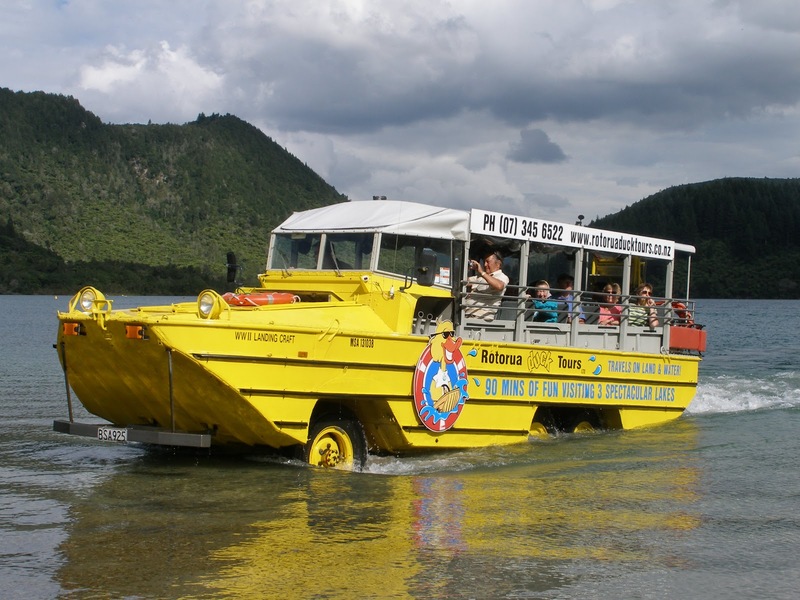 In fact, Rotorua Duck Tours is still the only company in New Zealand to provide such a unique mode of transport. Overall for Rotorua Family activities, this is one of the top places to be. Try to plan on having at least 3 nights in the area. This will make your stay so much more relaxed and enjoyable. Moving far less between locations, should really be the aim if you’re travelling with a family. Also, check out sites between Rotorua and Lake Taupo. Enjoy your Rotorua Family activities!